Lassi is a popular and traditional Punjabi yogurt-based drink of the Indian Subcontinent. It is made by blending yogurt with water and Indian spices, in this case, Cardamons. Traditional Lassi is known to be a savory drink. 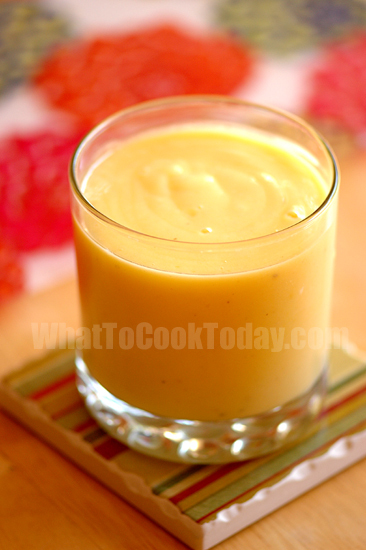 This recipe is a sweet Mango Lassi blend with some sugar for the sweetness. Sweet Mango Lassi is very popular not only in India and Pakistan. 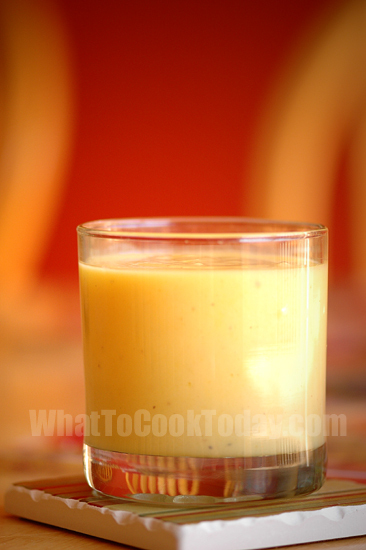 This drink is widely known in Southeast Asia and some part of North America and the U.K.
Mango is in the season and sweet Mango Lassi is so easy to make that I decided I must make this drink. To me, Indian food is simply not complete without Mango Lassi to wash it down 😉 Another recipe tested from At Home with Madhur Jaffrey.